Border Jacket. For sale within the UK. The Border is an established Classic Barbour jacket: longer in length, and with Thornproof waxed cotton. 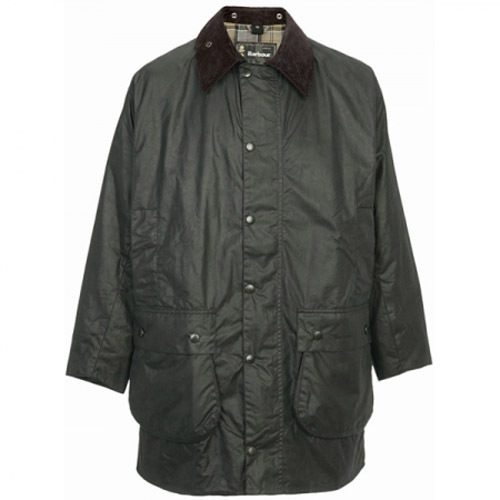 Thanks to its waterproof waxed qualities this jacket is sure keep you protected when the weather is not so bright. With a two way zip you can easily gain access inside the coat, and the large bellow pockets provide plenty of additional space.